Based on what the average person knows about Kanye West and Kris Jenner, you wouldn't imagine they'd be two people with a lot in common (besides a love for Kim Kardashian West). But now that they're in-laws, they seem to be getting along pretty well... so well that they're actually nap partners. Yep, on Wednesday night, while everyone else was partying it up at the birthday party Khloe threw for James Harden, Kris and Kanye fell asleep on the couch together, and the photo that Kim shared from the evening is actually adorable. In the pic, Kris is sound asleep on Kanye's shoulder as Harden stands over them flashing a peace sign. Ordinarily you'd assume Kris and Kanye are two people who know how to party, but this picture definitely says otherwise. First of all, this is the cutest thing ever. Second of all, Kim posted this photo just before 7 p.m., which officially means that Kanye and Kris can't hang. Of course, it's entirely possible they were battling some serious jet lag or North West kept Kanye up late the night before or something, but 7 p.m.? Really, guys? You're at a birthday party on a yacht and you're PTFO? It'd be insulting to Harden if it wasn't so sweet. And after doing a little research, I discovered something important: This isn't the first time that Kris and Kanye have been utterly bored by their surroundings. In fact, if they're together, they're usually both over whatever they're doing. 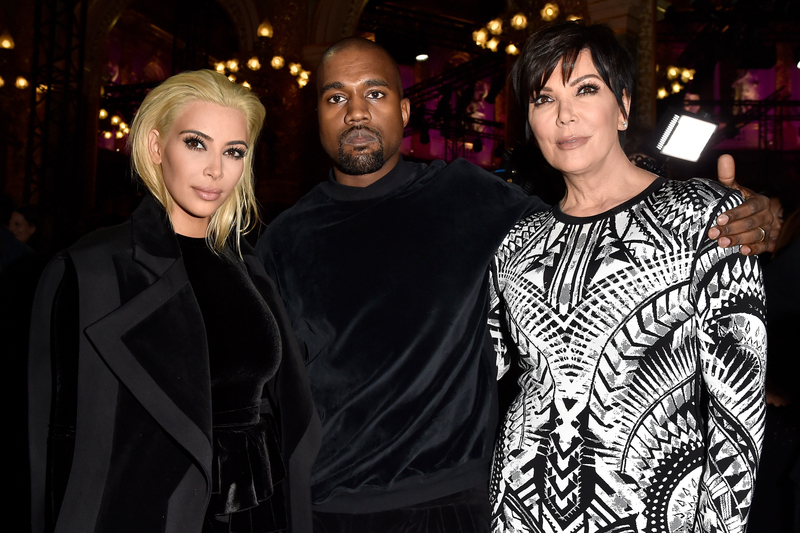 In reality, there's actually plenty of adorable proof that Kris and Kanye party like grandmas on the regular. It's fine, guys. The airport is a boring place. But you could at least pretend to look enthused about spending time with North! The two fakest smiles I have ever seen. Not that I blame them. I have a feeling Kim is the kind of person who asks for the people she's with to take about a million photos with her 'til she finds one she likes. I, too, am one of those people, and often everyone I'm with looks a lot like Kanye and Kris. Napping together has clearly been a longstanding tradition for them. How precious is this?! You can totally tell both of them just wish they were on a couch somewhere, napping together. He produces your show, Kris. Look alive. If a Kris and Kanye spinoff is on the table, I'm totally for it. I will watch these two nap (and act in the interest of their egos and their egos only) anytime.